The objective of this contract is to provide enterprise-wide net-cnetentric products at reasonable prices to Department of the Air Force, Department of Defense (DoD) agencies, and other federal agency customers, including but not limited to locations inside the contiguous United States (CONUS), outside the contiguous United States (OCONUS) and war zone areas for development, acquisition, integration, test, deployment, and sustainment of Air Force Command, Control, Communications, Computers (C4), and Intelligence, Surveillance, Reconnaissance (ISR) Enterprise and Information Systems in support of Research and Development (R&D) and operational/production activities. As part of the Network Operations (NetOps) implementation/transformation, voice, data, and video services will be merged on an integrated information transport network. Any new fielded systems will pave the way for this effort. This contract supports the Global Information Grid (GIG) architecture; Defense Information Infrastructure (DII), Air Force, and Defense Communications Systems infrastructure for computer networks and telecommunications network mission areas. The products and solutions acquired on this contract may be deployed for use in the full range of security domains, Unclassified through Top Secret classifications, plus Special Category (SPECAT) and compartments (e.g., Sensitive Compartmented Information (SCI)). The goal of this Network Centric Solutions-2 (NETCENTS-2) Products contract is to provide a full range of innovative, reasonably priced, world-class information technology products to support the full spectrum of net-centric operations and missions. It will help our warfighters be efficient in peace and effective in war while providing them the right information in the right format to the right place at the right time. 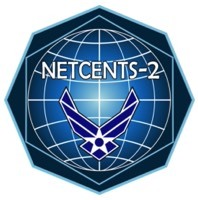 NETCENTS-2 will support U.S. Air Force, Department of Defense (DoD), and other federal agency customers that work in transitory, static, and deployed locations throughout the world. The net-centric products provided will combine with joint and interagency assets and capabilities from land, sea, air, space, and cyberspace components, as well as coalition and allied capabilities, to create an interoperable force capability. This contract will also help the Department of Defense (DoD) achieve information superiority as called for in Joint Vision 2020 and supports adherence to the Systems Engineering Process (SEP) as specified in the DoD 5000-series. The government intends for this contract vehicle to be mandatory for the purchase or lease of net-centric products for USAF customers. The contract will provide the following categories of net-centric products and associated support worldwide: networking equipment, servers/storage/peripherals/multimedia, software, identity management/biometric hardware and software, and desktop COTS software not included on other enterprise licenses. This contract supports the Global Information Grid (GIG) architecture, Defense Information Infrastructure (DII), Intelligence Community Information Sharing environments, Air Force, and Defense Communications Systems info-structure for computer networks and telecommunications network mission areas. The products acquired on this contract may be deployed for use in the full range of security domains, e.g., Unclassified through Top Secret classifications, Special Category (SPECAT) and compartments, such as Sensitive Compartmented Information (SCI). Before ordering COTS Software Licenses and Services, AF Customers should check the Enterprise IT Initiatives section of the AF Portal to determine if there is an existing license or service agreement.